Happy National Sticky Buns Day! 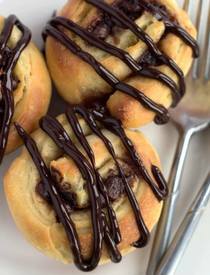 This recipe for Chocolate Swirl Buns makes a soft, rich, buttery dough that’s filled with a decadent filling of chocolate and a bit of cinnamon. These really are to die for!